note: I can’t remember this show at all. old age gets you y’know! but we had Irman Hilmi (Damage Digital) on the other guitar. Line-Up: Lee – vocals (dreads! 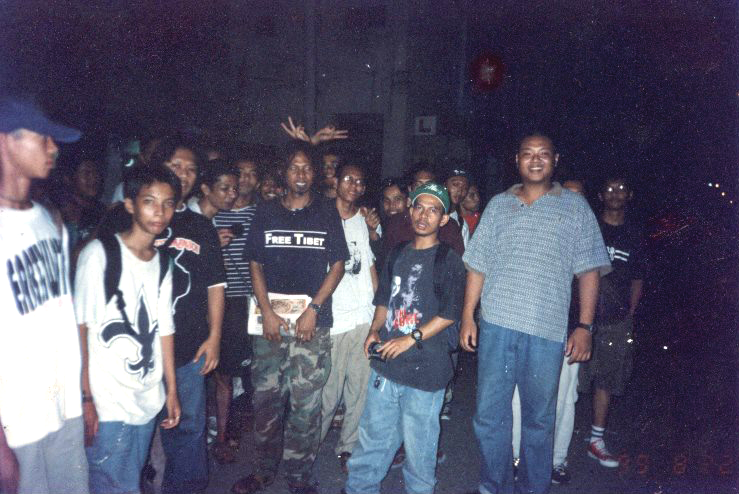 ), Fendi -bass (mustache), Joe – guitar (in his favourite Seremban show t-shirt) and Ollie – drums (hidden). UPDATES: “jhai alai n the jabs couldn’t make it that time and were replaced by the very young (now-famous) Overthrown” – comment by co-organiser on FB Jan 2nd 2013. *Basically, JHAI ALAI, THE JABS (both from Singapore) and N.E.T. 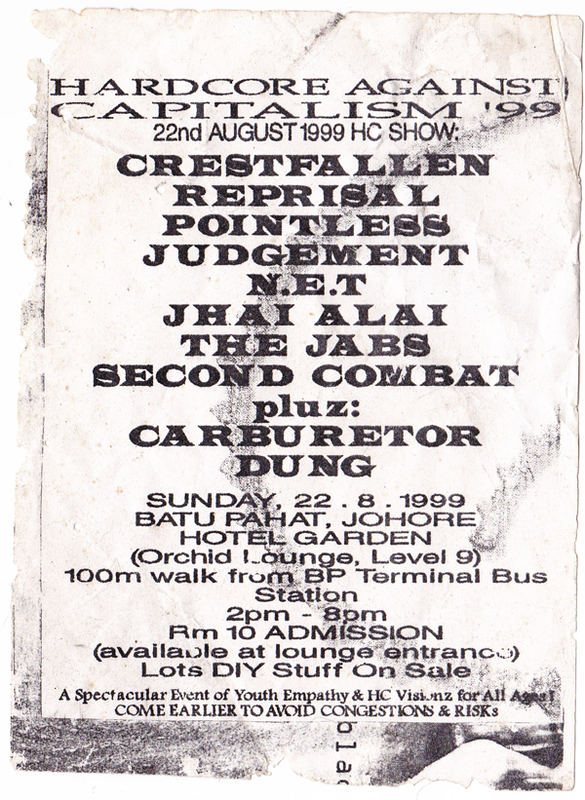 (Johor) didn’t play the show. They were replaced by OVERTHROWN & PASRAH.